A contract is an arrangement where two or more parties who are involved in a particular task, set certains norms in the beginning and agree to follow them. Once the contract is signed the parties are legally entitled to follow the contract. Since there is legal formality involved, it makes preparing a contract a difficult task. 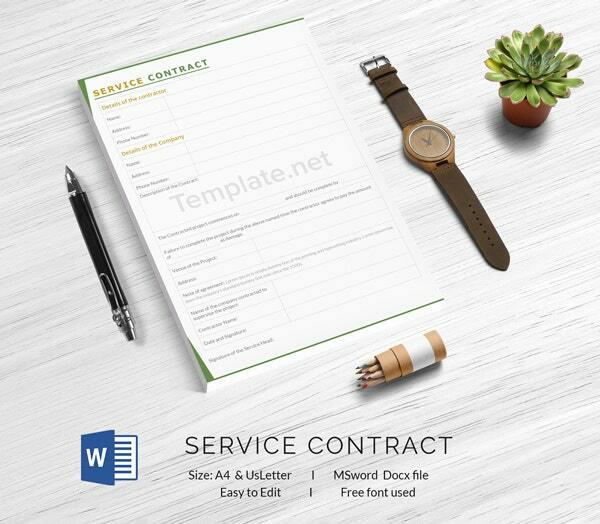 Therefore, we decided to come up with contract template for all kinds of contracts. Yes! 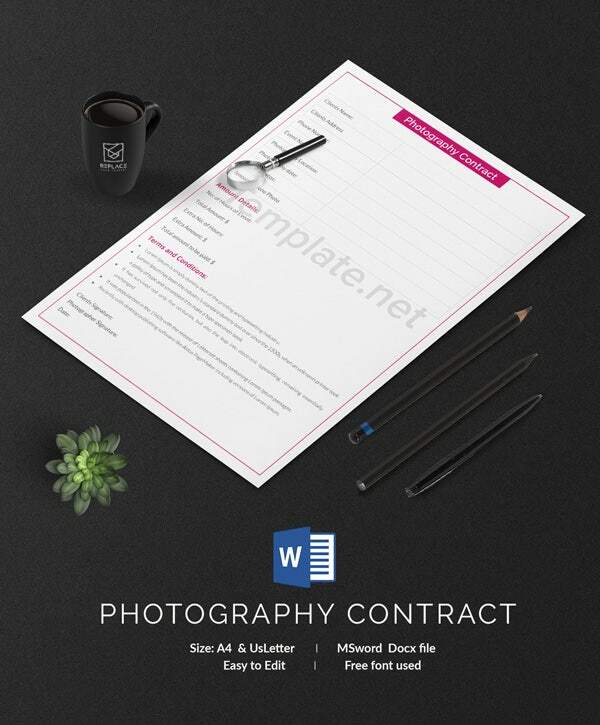 There are various kinds of contracts depending on the activity that you are getting involved into. The templates are here is to make the task easy. Behaviour contracts is used mostly in schools by teachers for their students. The objective behind these behaviour contracts is to set positive reinforcement and helps kids improve their behaviour. It mentions the expectation of the teachers and the parents and students provide with their signature at the end to make their approval. 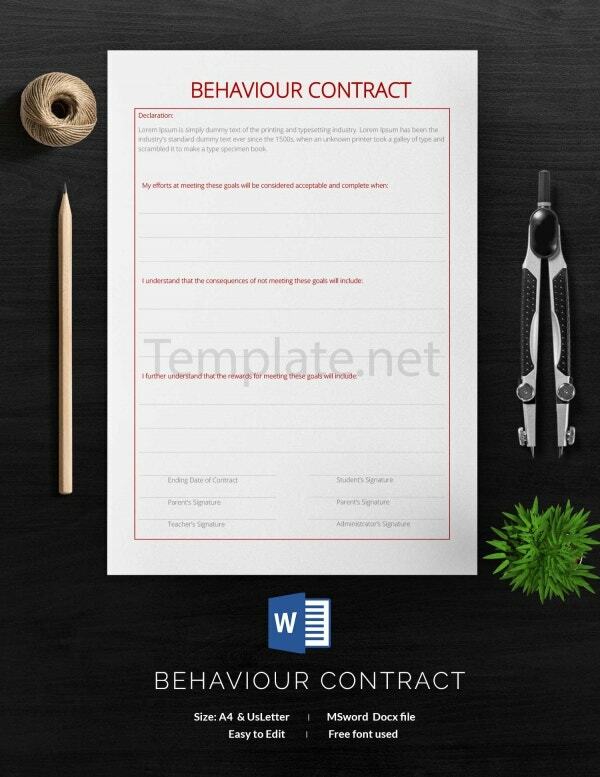 If you need to create a behaviour contract, you can take help of the template provided. It comes in Word format and would not be very difficult to edit. 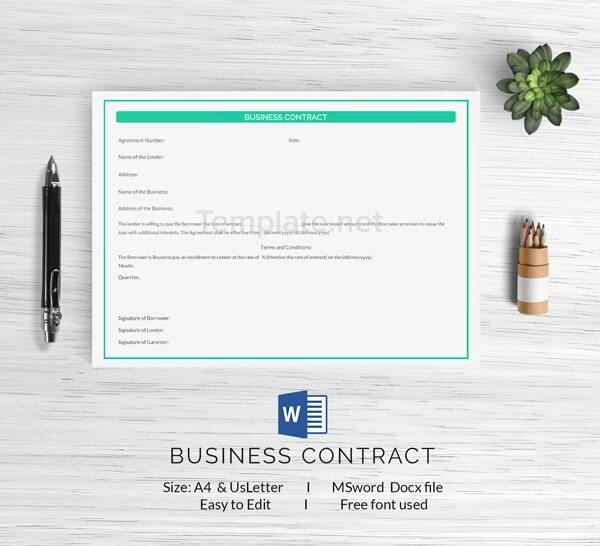 A business contract is a legal contracts that is signed by the respective parties before getting into a business partnership or agreement. It is an important document that marks for all the important clauses to help the parties involved and avoid any kind of clashes in future. It is an important document that has to be carefully prepared. 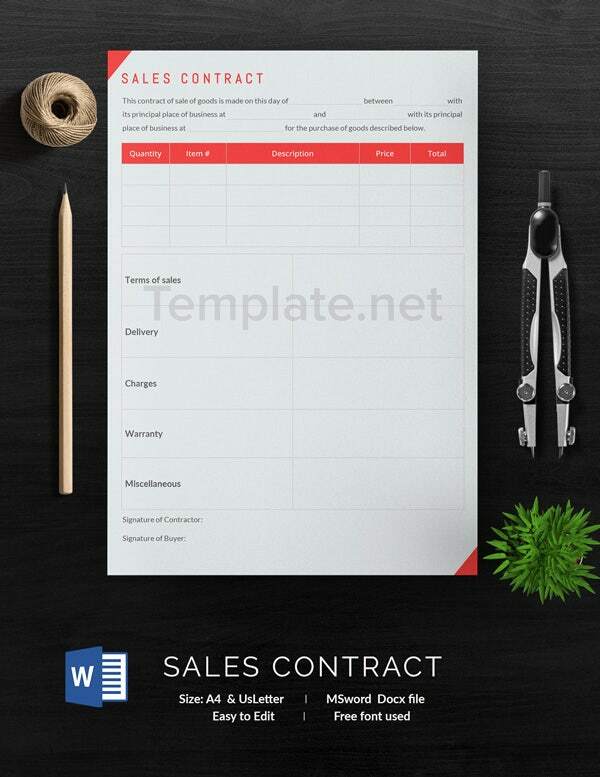 The template provided here is available for download for free and you can download it to to make your task easy and less time taking. A catering contract is like an agreement that is signed between the catering business and the client. It specifies the event for which the service is required also mentioning, the time period, no. of guests etc. Based on which the conditions are set in the agreement. It is created to benefit both the caterer as well as the client. 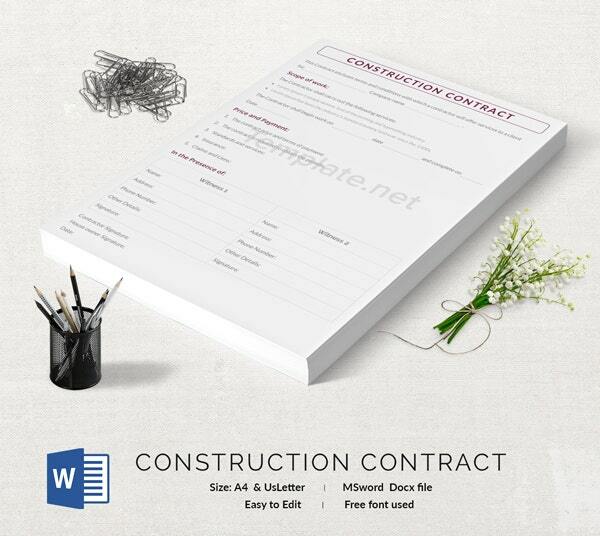 A construction contract is signed between the owner and the contractor. There can be more number of contractors involved. It is a legal agreement that sets the conditions and clauses for the contract and is recorded in the presence of the parties involved. We have a ready made design template for construction contract here with us. You can download it from the given link for any kind of assistance. An agreement between the employer or an organization and an employee is known as the employee contract. 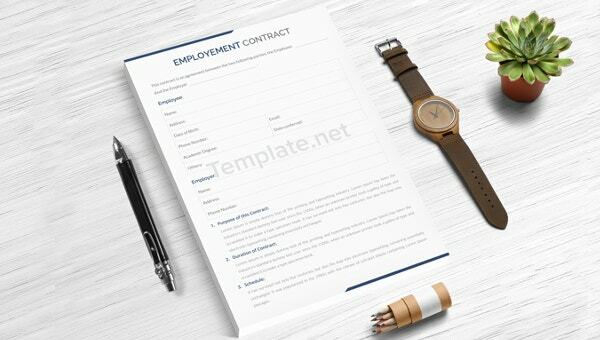 Before joining the organization the employees have to sign this contract to understand the terms of conditions of the employment. If you have hired a DJ for an event, before the event you should create a contract that would set all the requirement and conditions. The contract helps in the smooth running of the event. 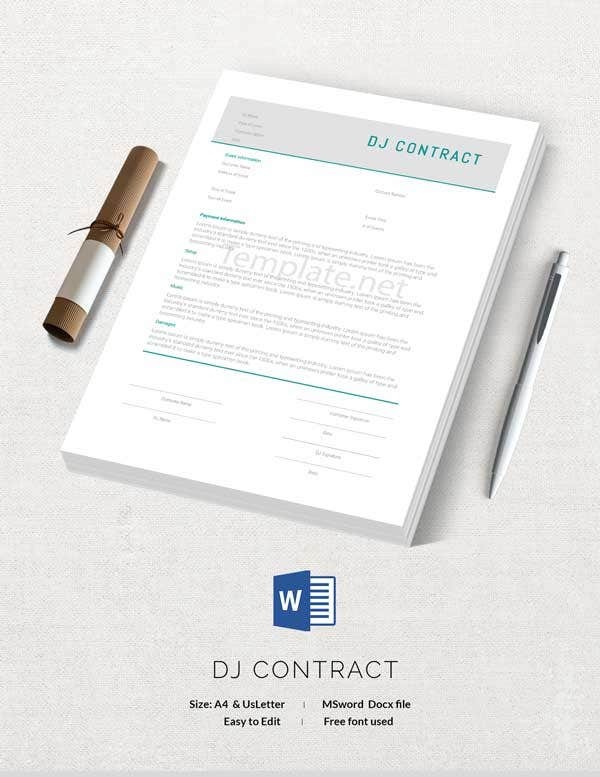 The contract also benefits the DJs as they can be sure about receiving the payments and will have prior knowledge of the event requirement in written. Freelancers generally work with more than one employer or organization and are not full time dedicated towards with one organization. 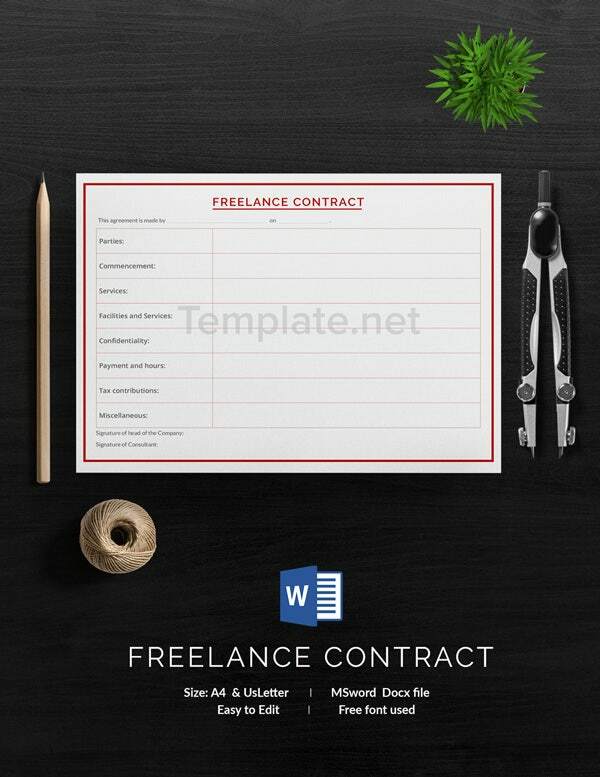 Therefore each organization sets their freelance contract that states the company policy and other related details. 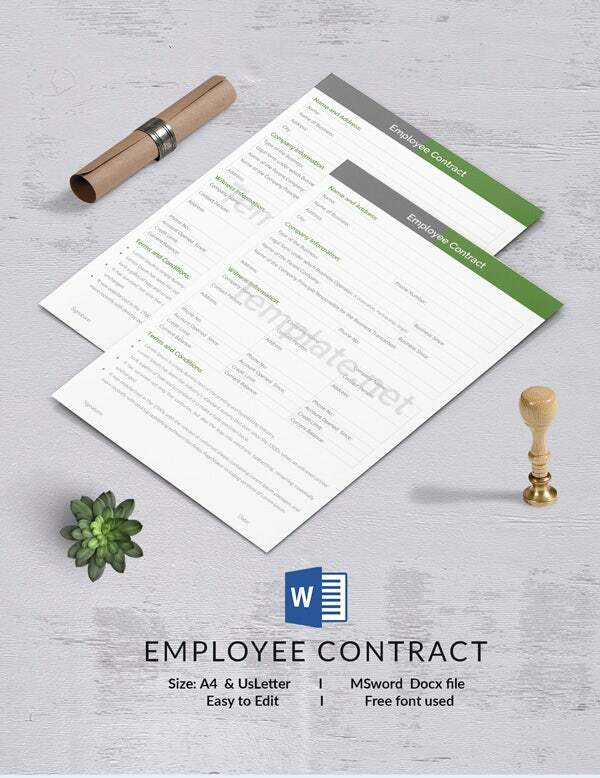 It is not same as employee contracts and the organization prepares this contract separately. A contract, unlike an agreement can be written as well as oral. But we suggest one should always prepare a written contract as it acts as a solid proof . Also, written contracts are taken more seriously and come with strict repercussions. We hope the contract template provided help you in creating a contract for yourself.